On April 21, 2018, Toronto, Canada-based metal trio CAULDRON will celebrate Record Store Day in their native land by releasing a limited special edition 7' featuring the band’s new single "Letting Go" and B/W "Hold Your Fire," the final single and closing track from the band’s 2016 album "In Ruin", which debuted at #1 on the CMJ Loud Rock charts. CAULDRON vocalist/bassist Jason Decay had this to say, "We are excited to partner with Record Store Day Canada for the release of our new limited special edition 7' featuring our new single "Letting Go." We’re really happy with how the new video for B/W track "Hold Your Fire" came out and hope you dig it as much as we do! These are two very strong tracks that show our attention to melody and songwriting while both retaining that classic unmistakable Cauldron sound so check it out!" 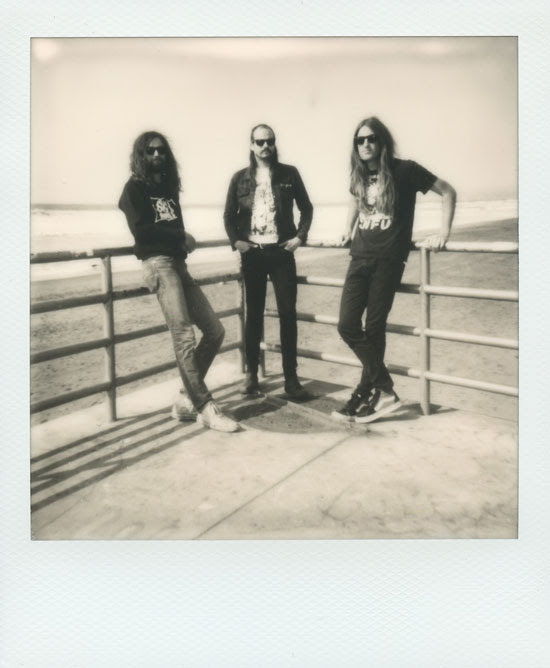 The video for "Hold Your Fire" was filmed, edited and directed by Matt Henry, Ingrid Vido, and Craig Buckley. Check out the video by clicking HERE. 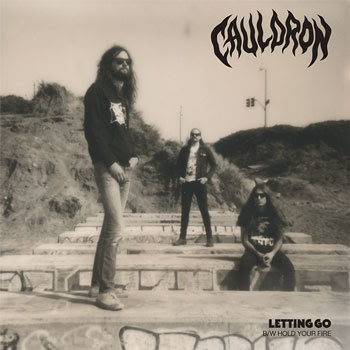 To commemorate the release, CAULDRON is set to perform a special in-store show on Record Store Day April 21st 2018 at Stained Class Records in Toronto at 3pm followed by a headline performance at the official Record Store Day Canada after party at Henderson Brewing Co. The band is also set to play a show on March 16 at Lee's Palace in Toronto (w/ Angel Witch, Blood Ceremony).